Looking same as 901 but there are big differences.. 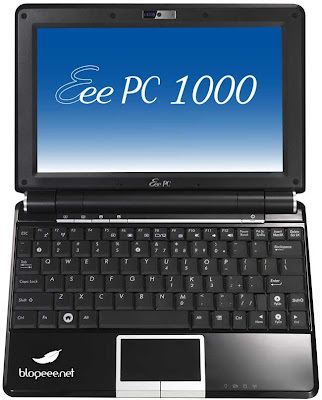 This is not a mobile computer like Eee 700/900 series are. It's much bigger, it weights 1.5 kilos and has spinning HDD.. Keyboard seems to be much bigger so this one might be good for those who didn't like the original one..
UPDATE: it seems to have the same keyboard as Asus U2E which is 277 mm wide..
HI JKK, THAT 10in EEE LOOKS GREAT,WAS THERE EVEN A HINT AT WHAT THE PRICE WOULD BE. ONE MORE ?, WILL THE 901 HAVE A SINGEL SSD OR TWO LIKE THE 900. Ugh, Asus... what are you doing to my beloved Eee brand?! You're murdering it! 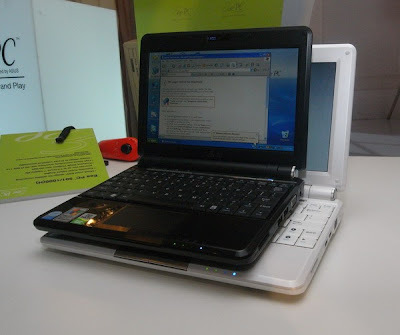 I don't mind what Asus is doing with the eee range. I really think they have such a range that depending on what you want and how much money you have Asus has a low budget umpc in the market for you. How many other companies can say that? thanks for the info about the caps, my apologies did not know. Hey, in the last pic, is the 1000 the one on the bottom or top? Thanks! To expensive now. No point. Thanks JKK, i thought so but wasnt entirely sure. 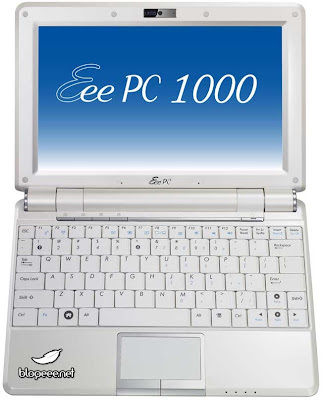 I thought the eee was meant to be compact, why do they keep making it bigger? Personally, i prefer it bigger though. I like the big screen for low price :P To bad its cpu and graphics chip are fail... Is it possible to replace them with a different one do you think? 901 has intel gma 950. 1000 has?? ?